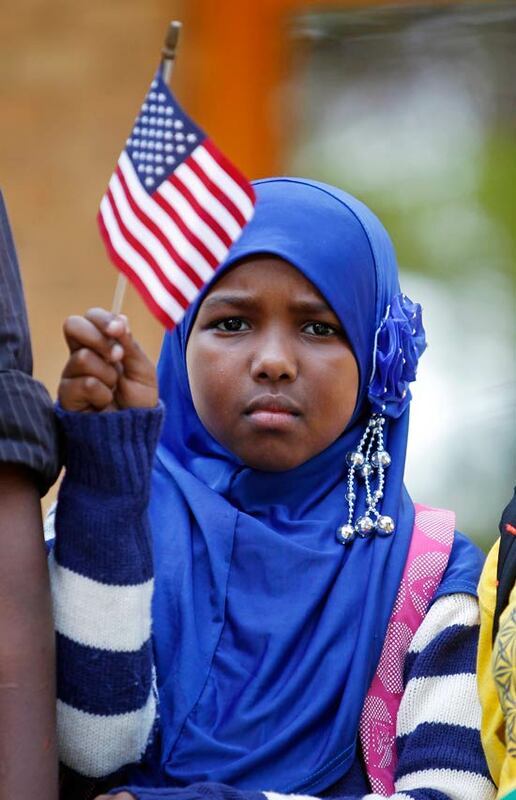 When Dayib Ahmed Abdi and his family arrived in the United States in 1996, his son Abdifatah already had an independent streak. The family settled in Minnesota along with thousands of other refugees from Somali’s civil war and Abdifatah, known also as Abdirahman Muhumed, went in his own direction. He frequented gyms, lifted weights and played basketball. He wasn’t particularly religious. He liked going out to night clubs and was considered handsome, “a heartthrob,” his father said. Abdifatah ended up marrying three times, having eight children in all. His father hoped he would join the military. Late last year, Abdifatah, 29, abruptly left his families, and traveled to Britain, then Syria, joining the radical militants of the Islamic State as they began sweeping across parts of Syria and Iraq. He posted photographs to Facebook and elsewhere earlier this year, showing him holding the Quran and AK-47s. In August, he was reportedly killed in Syria. He was the second American to die there. “I was very sad when I heard it. ‘Why he would go to an Arab land?’ I asked myself,” Abdi told VOA. “They [Arab countries] don’t help us; instead the United States helped us. ‘Why he chose to leave this good land?’ I asked. I was very unhappy. Of those who have traveled to Syria, at least 13 Somalis were from Minnesota, according to a VOA tally, a number that includes at least two girls. Two more Somali girls, and a Sudanese girl, all from the Denver area, were stopped in Germany on October 19, as they headed to Syria. For Minnesota’s Somali community, the largest in the United States, this isn’t a new phenomenon: between 2007 and 2010 some two dozen men traveled to Somalia to fight “jihad” there. As before, the issue is bringing unwanted scrutiny from the FBI and local police; a federal grand jury is nearing the end of its investigation into the recruiting and who’s responsible. The Somali community’s experience is a window: into how difficult it is to counter radicalization; into the mistrust and alienation that recruiters thrive on to draw people to radical jihad: in Somalia, Syria or elsewhere. “Here are all the things against us: immigrant, black, Muslim,” said Fartun Weli, a 43-year-old founder of a Minneapolis non-profit organization helping Somali women. Over the past two decades, wracked by civil war, foreign invasions, famine, warring clans, extremist ideologies and international indifference, Somalia has become the poster child for failed states. With the government’s collapse in 1991 and the country’s descent into chaos, Somalis fled en masse, to refugee camps in Kenya, Uganda, Ethiopia, Djibouti and Yemen, then onto Europe and North America. More than 1.5 million scattered around the world. More than 50,000 now live in the Minneapolis-St. Paul region. 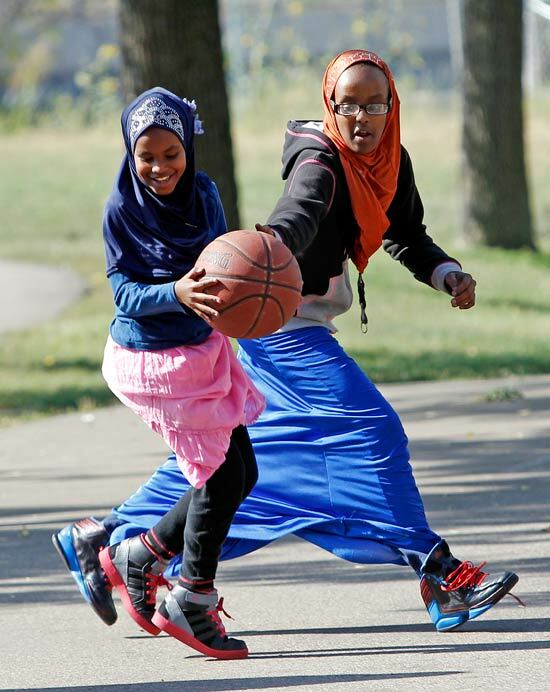 For many, Minnesota was welcoming, but alien, and for the vast majority of the Somali community, adaptation has come slowly. Many have thrived, becoming eager entrepreneurs, activists, academics or business leaders, helping to turn three shopping malls in Minneapolis into hubs of Somali commerce and culture. But Somali families have suffered disproportionately from unemployment, poverty, mental health problems and crime. Community activists estimate as many as 3,000 Somali men may be in the criminal justice system—under arrest, imprisoned, on parole. Some 20 percent of Somalis lack jobs. Another estimate based on U.S. Census data found only 50 percent of working-age Somalis had jobs. Like many Muslim groups in the United States, Somalis also faced hard suspicion after the September 11, 2001, attacks. Gangs— stubbornly difficult to penetrate by local police, a function of the community’s mistrust— are key to recruitment, said Waheid Siraach, a sergeant with the Metro Transit Police and founder of the Somali American Police Association. A Somali who gets caught up in a gang, lands in jail and then released is often trapped, Siraach said: ostracized by the larger community, unable to find work due to a criminal record, a prime target for recruiters peddling a glorious message of battlefield or religious glory. Several of the men who ended up in Somalia between 2007 and 2010 had criminal records. At the point when a young person is vulnerable, it can take as little as two to six months for him to be radicalized, persuaded to travel to Somalia or Syria, to fight for jihad or adhere to radical interpretations of Islam, said Bob Fletcher, a former St. Paul police commander who now runs trainings on Somali cultural issues. Is it true you’re a terrorist? Somalis aren’t the only group in the United States who are being recruited. And this isn’t the first time the Somali community has grappled with young people being radicalized and recruited into Islamist causes. In 2006, an alliance of Islamic organizations threatened to overrun the fragile, internationally backed government in the capital, Mogadishu. At the forefront of the alliance, and the fighting, was Al-Shabab, a group made up of mainly younger men espousing an extreme vision of Islamic law that eventually linked up with al-Qaida. Ethiopia, fearing an Islamic state next door, invaded with backing from the United States. To fight the Ethiopians, the cry for volunteers went out among Somali diaspora communities, including in Minnesota’s Twin Cities. 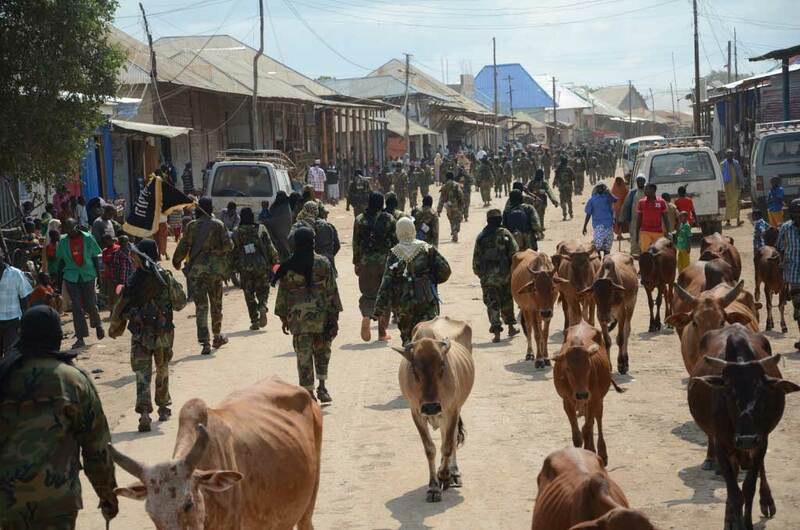 Many went to fight for Al-Shabab. 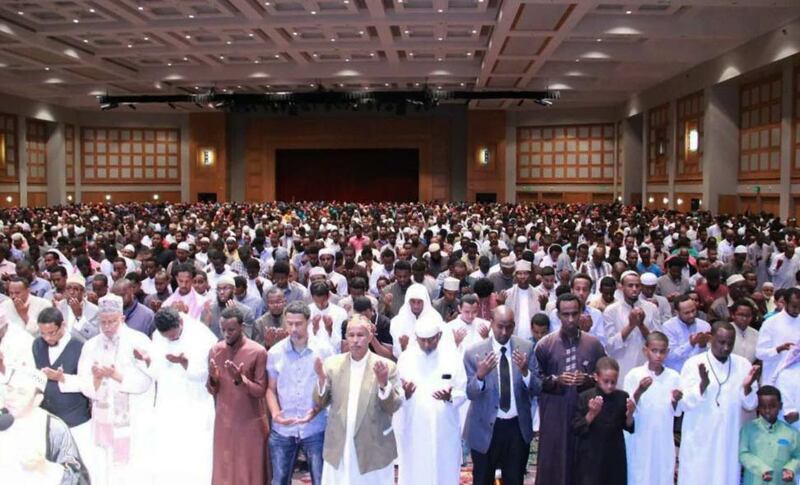 Some leaders explicitly called the fight “jihad.” Nearly two dozen Somali men answered the call, such as Shirwa Ahmed, a 27-year-old Minnesotan who graduated from Minneapolis’ Roosevelt High School. In October 2008, Ahmed killed himself in an attack in Somalia. He was the first ever American suicide bomber. Between 2007 and 2010, federal agents surveilled mosques in Minnesota, recruited informers and interrogated dozens. Many Somalis complained of harassment or discrimination. Sheikh Abdirahman Sheikh Omar, of the Abubakar As-Siddique Islamic Center in Minneapolis, was put on a no-fly list in 2008, unfairly, he said. While U.S. officials refuse to say why he was barred from flying, several of the men who joined Al-Shabab worshipped at his mosque. Sheikh Hassan Jamici, of the Islamic Da’waah Center in St. Paul, said he is loathe to have his children accompany him when he flies. “I don’t want my kids to see their dad selected and separated from the people, and remove his belts, his shoes, and someone is touching everywhere, including his private parts, and watching me,” Hassan said. On an early October evening, dozens of Somali men and women, wearing black head caps and brightly colored headscarves and flowing dresses, crowded into a room at the Sabathani Community Center, south of Minneapolis’ downtown, to upbraid and applaud police officials and others, including Minnesota’s U.S. attorney, Andrew Luger, who is trying to overcome this distrust. “We come from the war. We don’t want our children to go back to the war,” one woman said. 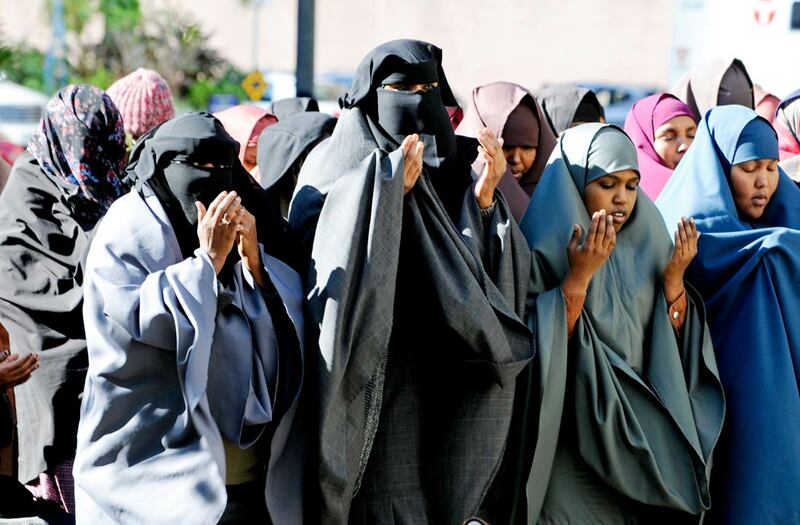 But when Luger pointed out that any Somali who travels to fight for terrorist groups in Somalia, or Islamic State militants, would be prosecuted upon return, several women shook their heads and whispered excitedly among themselves. For many Somalis, though, talking has been accompanied only by a heavy-handed response from police. Last month, a Somali American man, Mohamed Osman Mohamud, was sentenced to 30 years in prison for trying to detonate a bomb at a holiday tree-lighting ceremony in Portland, Oregon, in November 2010. He was arrested after his parents told the FBI they feared he was becoming radicalized. 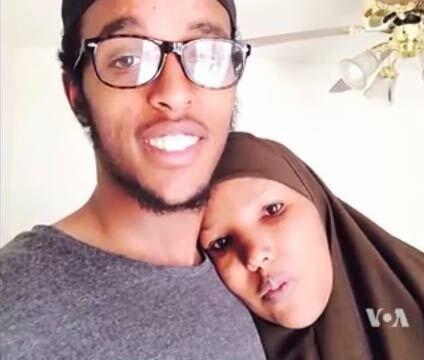 Later, parents and relatives complained of entrapment, saying Mohamud had been lured into the bomb plot by FBI agents intent on arresting a terrorist. For the police and the FBI, it’s a fine line to walk. Agents need the cooperation of the Somali community to identify recruiters and turn young people away from radicalization. But they’re also hyper-vigilant to the danger of a homegrown terrorist. In the video, which appeared this spring on jihadi websites, a voice chanting Quran verses gives way to images of masked, camouflaged men marching with AK-47s and rocket launchers and banners of jihad. It’s one of countless videos circulating through the Internet, with messages honed to the attention, and the ideals, of young people. The issue has grabbed the attention of federal agencies, not just because of the Somali and Syrian conflicts, but also attacks like the 2013 Boston Marathon bombings. The Justice Department, the FBI, the National Counterterrorism Center and the Department of Homeland Security recently launched pilot programs in Minneapolis, Boston and Los Angeles, trying to get at the root causes of radicalization, like a lack of jobs or economic opportunity, or families feeling alienated or disconnected. Homeland Security Secretary Jeh Johnson heard a litany of complaints from Somali leaders, complaining about racial profiling, during a meeting in Minneapolis on November 7. Like other law enforcement officials, Johnson pleaded for cooperation from the community. What may be the crucible for radicalization, however, is the mosques and the role that religious leaders play in either dissuading or encouraging people to join jihadi movements. 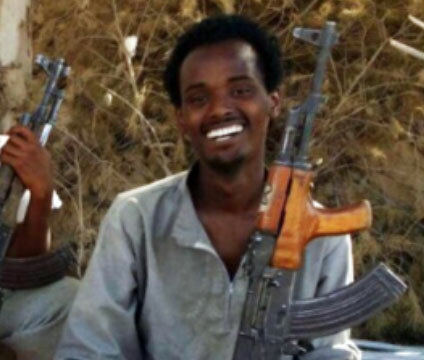 Several years ago, both Sheikh Omar and Sheikh Hassan endorsed the call for jihad, for people to join the fight against the Ethiopians, a call that Hassan maintains was justified. With the Islamic State, known also as ISIS or ISIL, the message continues to be jihad, but for a cause different from Al-Shabab’s, or even al-Qaida’s: creation of an Islamic state, a caliphate. If Somali religious leaders in Minnesota subscribe to this view, they’re not doing so overtly. Sheikh Hassan has denied that any worshippers from the Da’wah Center have ended up in Syria. If they did, he said, he and his mosque weren’t responsible. In 2011, several young men at Sheikh Omar’s mosque — Minnesota’s largest — accused a visiting scholar and other leaders of hypocrisy and of a corrupted interpretation of Islam. One man punched a mosque official in the face, prompting the mosque to call police and ban the men from the building. This summer, officials at a Bloomington mosque known as the Al-Farooq Youth and Family Center called police about an Egyptian man suspected of trying to recruit youth members. Mosque leaders said they were concerned about the man’s interactions with young people and banned him from the building. At least two young people who worshipped at Al-Farooq have traveled to Syria in recent months, according to Minnesota media reports. Some parents have told VOA the mosque was to blame for allowing recruiters to gain access to members; mosque officials denied the allegations. Sheikh Omar said he was surprised to learn that many Somalis were travelling to Syria, and he condemned both the Islamic State and Al-Shabab. “They are damaging Islam and the face of Islam,” he told VOA. “Maybe the effects of civil war are in still in the minds of this generation, so when they hear war is going on somewhere they easily respond to go there,” he said. For the mosques, the problem may lie in the gray area at the intersection of religion, nationalism and violent extremism; that religious leaders aren’t unequivocal when it comes to condemning extremist interpretations of Islam or violent jihad. Jihad can mean “holy war” or it can refer to a person’s spiritual, internal struggle. This report erroneously described the nature of the “pilot programs” that the U.S. Department of Justice and other agencies are undertaking in communities like Minneapolis. The main goal is to address the root causes of radicalization, and support new initiatives like jobs- and skills-training and mentorship and after-school programs, among other efforts.